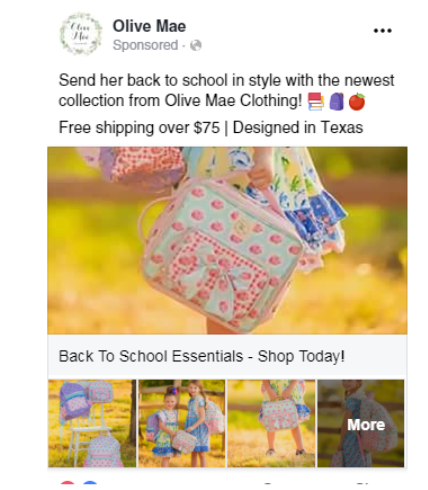 Olive Mae is a Marketing 360® client that is getting huge results from Social Targeting Ads®. If there is one thing that pays off with marketing and advertising, it’s using channels that work best to connect the product with highly targeted audiences. Finding those channels is usually a process, but the payoff is worth it. 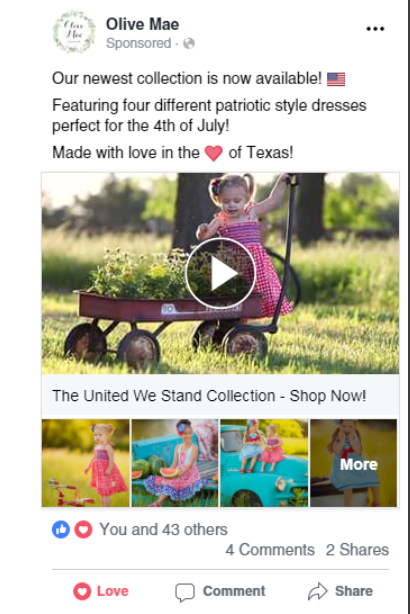 The online children’s boutique Olive Mae, with the help of the team at Marketing 360®, discovered a golden sales channel on Facebook using lookalike audiences. 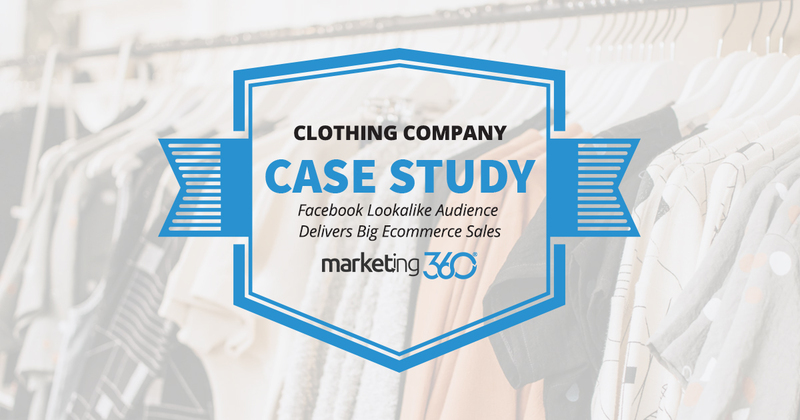 Clothing verticals tend to do well on Facebook. The audiences that engage with posts and like pages have strong interests in those products. When you have this type of audience a powerful tactic is to mimic it. 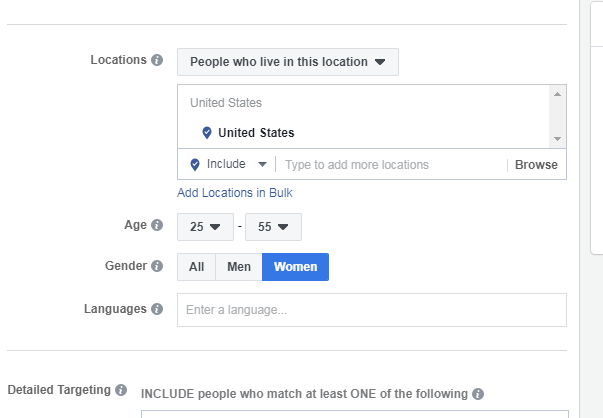 In other words, use Facebook’s Lookalike Audience targeting. Here’s how it’s done. 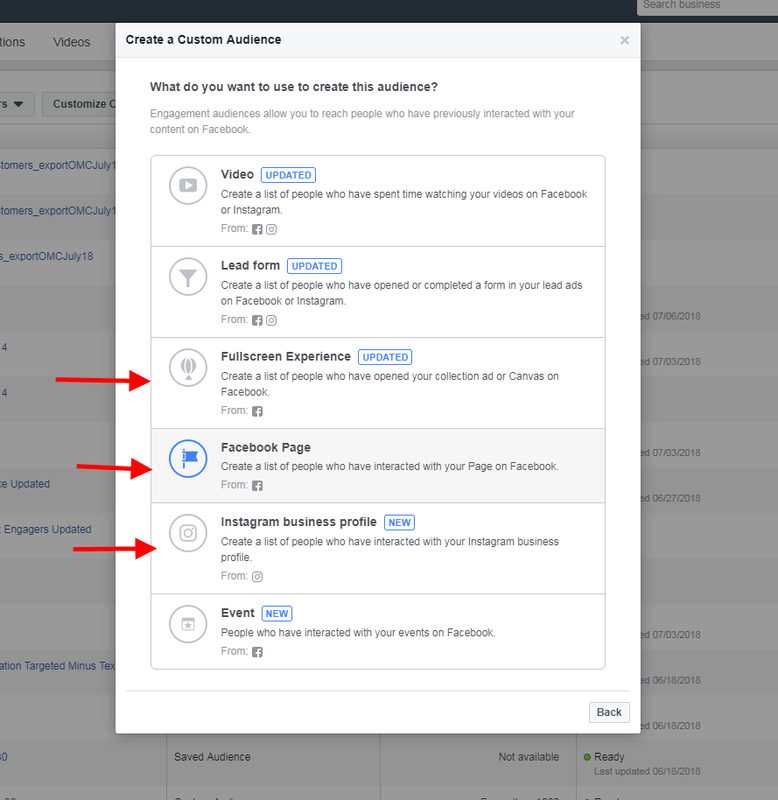 This means that everyone who interacted with their Canvas ad, Facebook business page, or Instagram profile is put into an audience. Across the US, this left us with an audience of about 2 million people. These ads had to be turned off – because the business sold out of product. That’s a 966% ROI. Incredible. This is what happens when you match the right ads with the right audience.